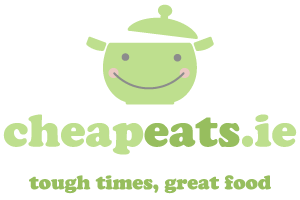 The holy grail: affordable Japanese food in Dublin! This new takeaway is on Liffey Street, near the Ha’penny Bridge, and sells hot food and sushi. I went down there yesterday at lunchtime to check it out. There’s a very wide and affordable choice – loads of sushi for around €1 a piece, and a selection of hot rice or noodle dishes for around a fiver. The takeaway has the sleek, minimalist design ethic associated with Japan. Yes, I know I’m the only one who cares about that kind of thing. I ordered a Teriyaki Beef, which comes in a medium-sized cardboard container with white rice and costs €4.95. The portion was very generous, but unfortunately the teriyaki wasn’t very good. It was insanely salty, even for a salt addict like myself, and tasted extremely unhealthy. The beef came in large tough chunks that weren’t easy or pleasant to eat. All this for €6.75. Pity the hot bit wasn't much good. The sushi, on the other hand, was perfectly good. I got two pieces of Salmon Nigiri for €1.50, and there is a huge array of varieties. Prices range from €1.50 to €2.00 for two pieces (you’re not allowed to mix and match, disappointingly). Wasabi, soy and ginger come in little sachets at 10c extra each. My first thought was Conor Pope’s call for examples of being charged unfairly for small extras, but in fairness to Koroko, the sachets contain plenty for an entire sushi lunch and only cost 30c all in. 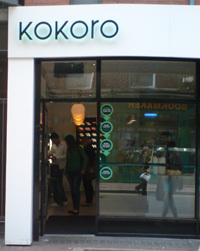 I’ll definitely go back to Koroko for their sushi, and may even try one or two more of their hot dishes. The idea of cheap Japanese food to takeaway is too precious to give up on. I had the salmon and tuna bento last week – 6 pieces of decent sashimi, rice, edamame and some veggies for €5.95 plus they threw in a free miso soup. Cracking stuff. The nigiri looked good too, although the individual wrapping means you’d have a sight of packaging on your hands if you were buying a dinner’s worth. 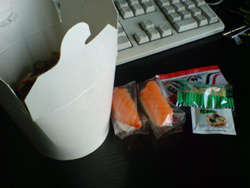 Got a great deal on lunch in this place again today – sushi bento – 8 pieces of sushi, and a miso soup for €6.50. All lovely quality as well.